I had some fun Sunday creating some more cards using Dream Pop paper. 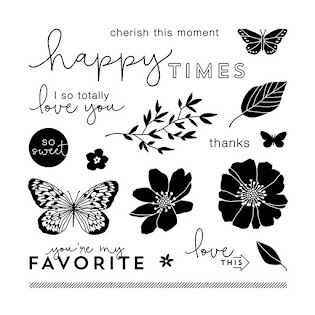 This fun paper will be available for $10 with your purchase of $35 in CTMH products effective May 1st. You don't want to miss out on this action. Add this to your wish list!. I used the CTMH Pun Fun stamp set for the sentiment and bee image. I colored the bee and popped it up with a pop dot. I again used the Pun Fun stamp set, coloring the cupcake image and using a pop dot to give it some dimension. Here is a close up of the dimension added using pop dots. I cut out this cute shape and overlay using the Art Philosophy cricut cartridge. I saw this neat technique in the Cardmakers 100+ cards special publication. I liked it so much I tried it. I used CTMH Cotton Candy cardstock and Hollyhock ink. I cut the card out using the Art Philosophy cricut cart. I stamped the flowers using the Card Word Puzzle stamp and the sentiment using the Scrapbook Statements - Poets. This is the view when the card is closed. I colored the stamped image using Spectrum Noir markers. I really like how it came out. A technique I will try again. Hi! Just found your blog! I love your cards, so fun and bright! I have the Art Philosophy Cartridge...I must get it out and use it more!! Hi Denise!! Thanks for stopping by! Yes, you must us it more. There is so much you can do with it. I would love to see what you make with it :-) Happy crafting!! An avid scrapper since 2005. 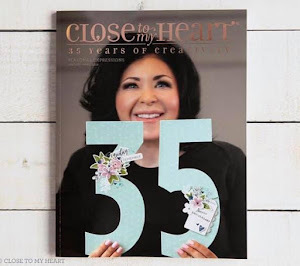 I am a Close To My Heart Independent Consultant and am looking to share my passion for preserving memories through scrapbooking and stamping. I am also a proud Mom of two little princesses. "Just a Note to Brighten Your Day"